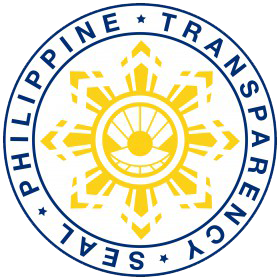 The Transparency Seal, depicted by a pearl shining out of an open shell, is a symbol of a policy shift towards openness in access to government information. 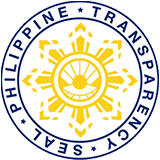 On the one hand, it hopes to inspire Filipinos in the civil service to be more open to citizen engagement; on the other, to invite the Filipino citizenry to exercise their right to participate in governance. This initiative is envisioned as a step in the right direction towards solidifying the position of the Philippines as the Pearl of the Orient – a shining example for democratic virtue in the region. NEDA Central Office ISO 9001:2015 Certificate covering the Appraisal of Program/Project Proposals and Facilitation of the Investment Coordination Committee (ICC) Action issued by AJA Registrars, Inc.
RA 7640 provides that NEDA shall act as the principal secretariat in providing staff support to the LEDAC. Currently, the LEDAC Secretariat is under the Office of the Director General and is directly supervised by the Director of the Internal Audit Service. Thus, its personnel are ranked together with other NEDA personnel.